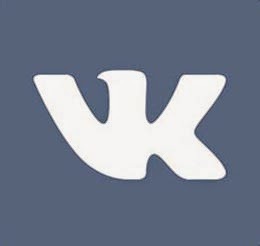 VK (originally VKontakte, Russian: ВКонтакте, literally 'in touch') is the largest Russian social network in Europe. It is available in several languages, but is especially popular among Russian-speaking users, particularly in Russia, Ukraine, Belarus, Kazakhstan and Uzbekistan. Unless you live in those territories, you probably never heard of it. Like other social networks, VK allows users to message each other publicly or privately, to create groups, public pages and events, share and tag images, audio and video, and to play browser-based games. As of the first quarter of 2015, VK had at least 280 million accounts. VK is ranked 22 (as of November 1, 2014) in Alexa's global Top 500 sites and is the second most visited website in Russia, after Yandex. According to eBizMBA Rank, it is the 8th most popular social networking site in the world. As of January 2015, VK had an average of 70 million daily users. The site features 3 official languages (English, Russian and Ukrainian) as well unofficial user-generated translations into 70 more languages. Advertisements are only shown in the Russian and Ukrainian versions. If it looks startlingly familiar in design and functionality, you won’t be surprised to hear that VK is often described as a Facebook clone, with a similar concept and a comparable business model. VK not only sports an interface highly reminiscent of Facebook, but incorporates media features that make it more like YouTube, Pandora, and MySpace rolled into one. VK is not nearly as large as Facebook in membership, but is the largest European social network with more than a 100 million active users. It has remained one of the top 50 most popular sites in the world for several years.